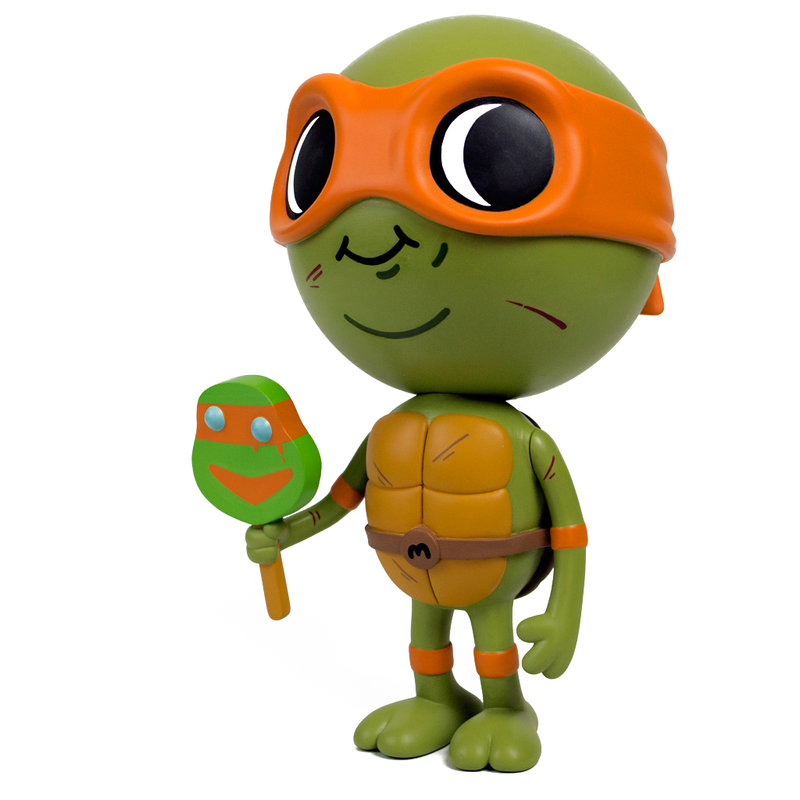 MONDO has annnounced their first toy release, Lil Mikey, available for pre-order today! 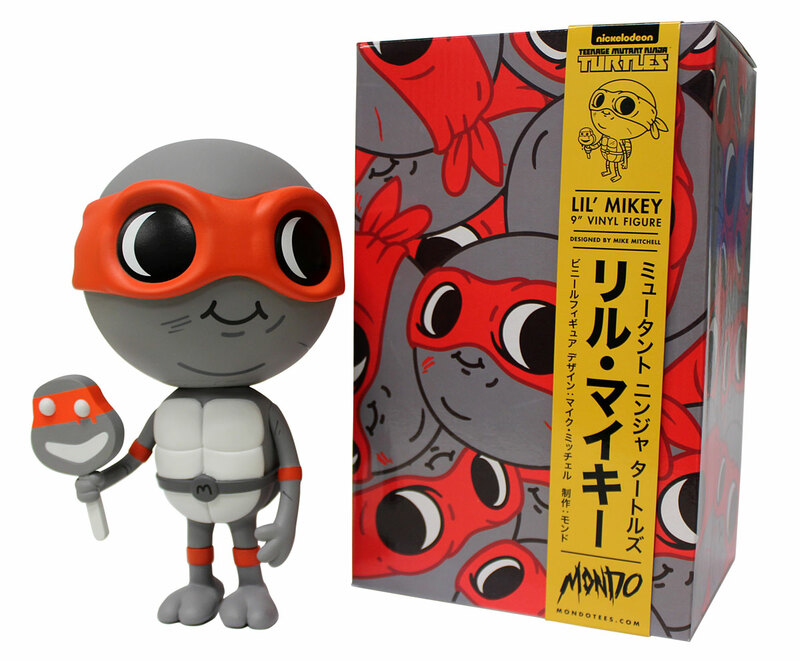 Lil MIkey will retail for $105, which includes free worldwide shipping. 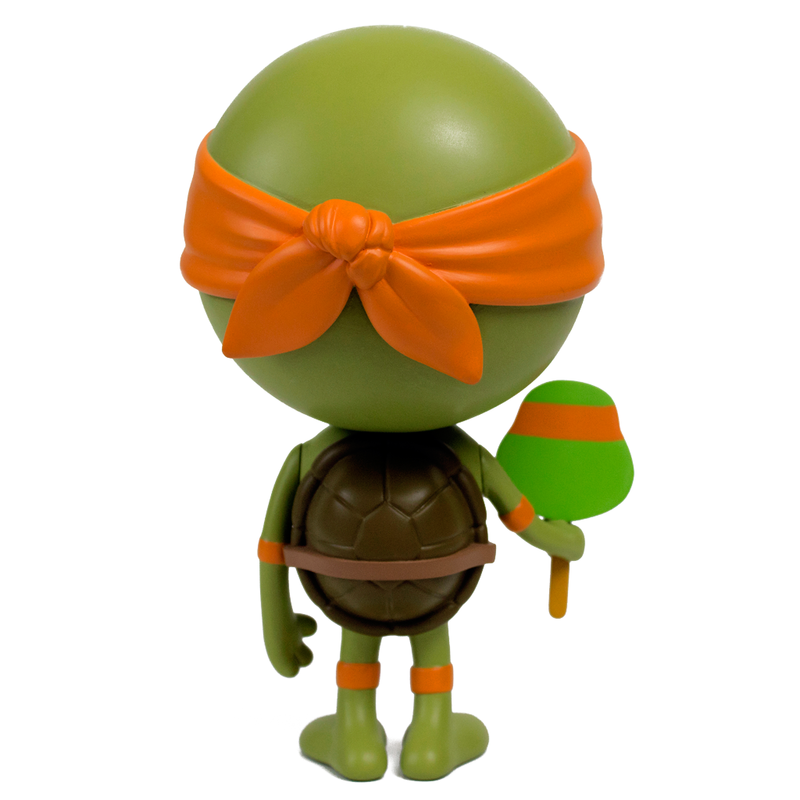 “If I had $5 when I was a kid, it was going to be spent on a ninja turtle figure. 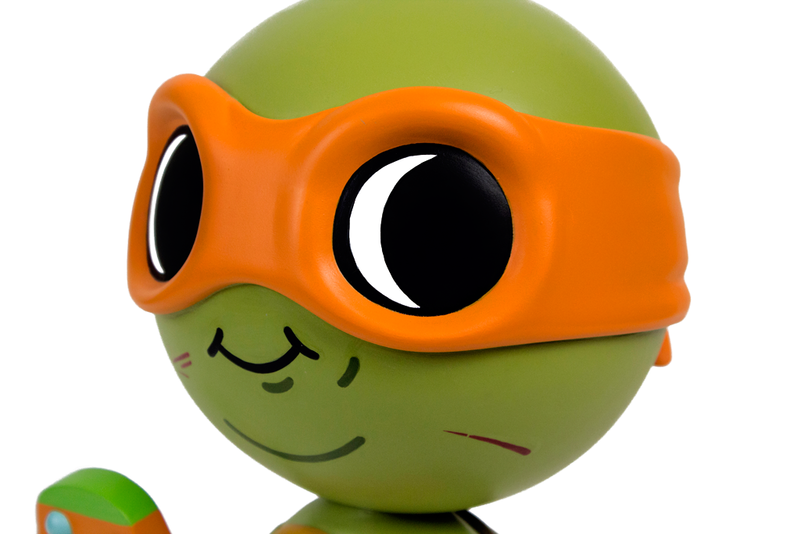 So much of my childhood was defined by TMNT, I watched every episode, I had the toys, the shirts, the games, the comics. I wish I could say “Lil Mikey” was a dream come true, but I never could have fathomed this happening. 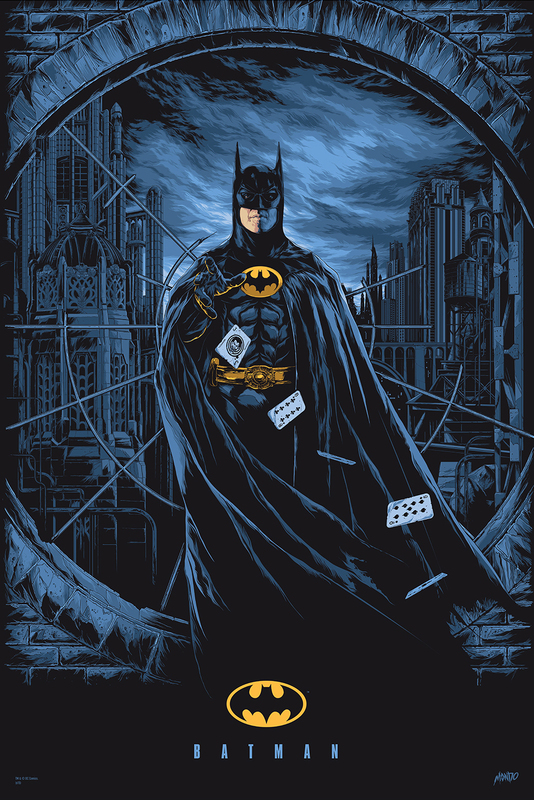 When I was in art school in Chicago, I dropped into Rotofugi, an awesome gallery/designer toy shop that I frequently rode by and not five minutes into it, I was hooked on designer toys. 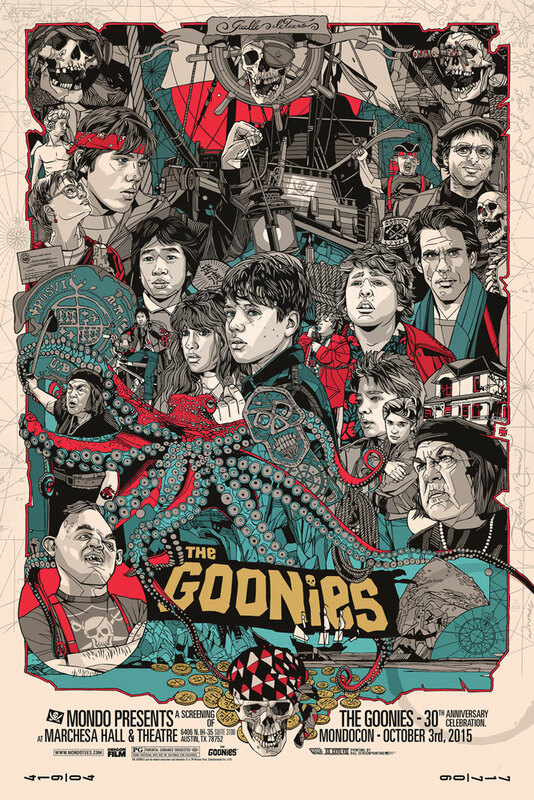 I hardly had any money in those days, but I loved stopping by when I could as the toys were very inspiring to me. 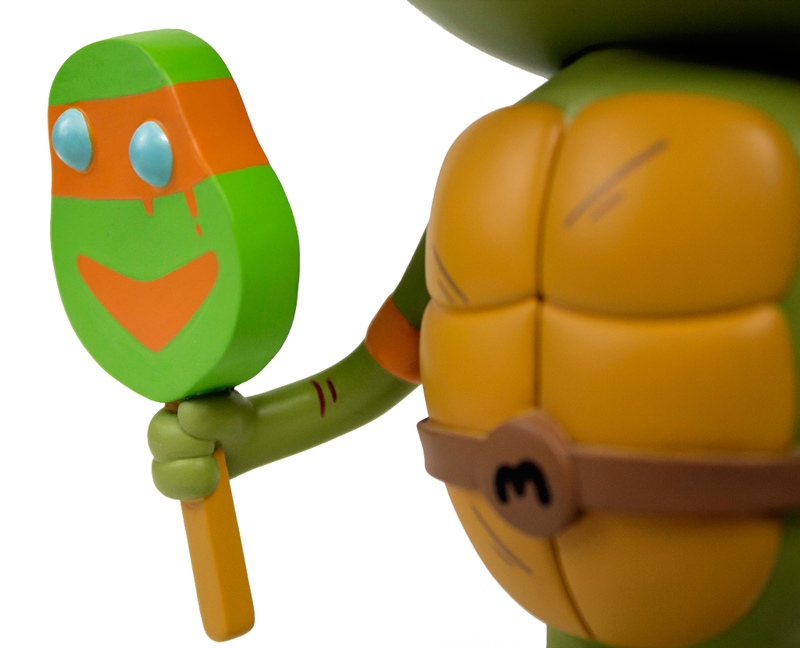 I’ve wanted to make a toy ever since, and I couldn’t have asked for a better one to start with. 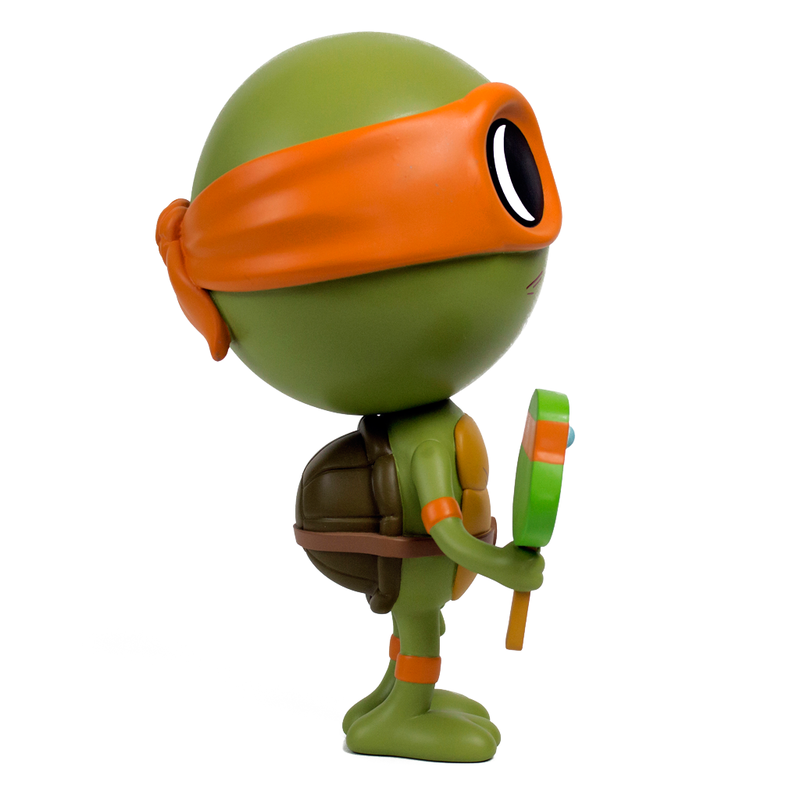 After working with Dan Willett and Brock Otterbacher over the past year to make the Lil MIkey figure a reality, MONDO is proud to present this beautiful crafted Teenage Mutant Ninja Turtles figure!